Going to a marriage therapist for relationship issues may actually cause more harm than good, says Dr. Bill Doherty, a leading marriage and family therapist. Going to a marriage therapist may be one of the worst decisions a couple can make for their relationship. For many, it’s the beginning of an expensive, time-consuming journey that often contributes to divorce. Bill Doherty, Ph.D., is one of the nation’s most respected marriage and family therapists, yet he warns couples from seeing a therapist to work on their marriages. Four reasons he cites for approaching a marriage therapist with caution are: incompetence, neutrality, pathologizing, and undermining relationships. 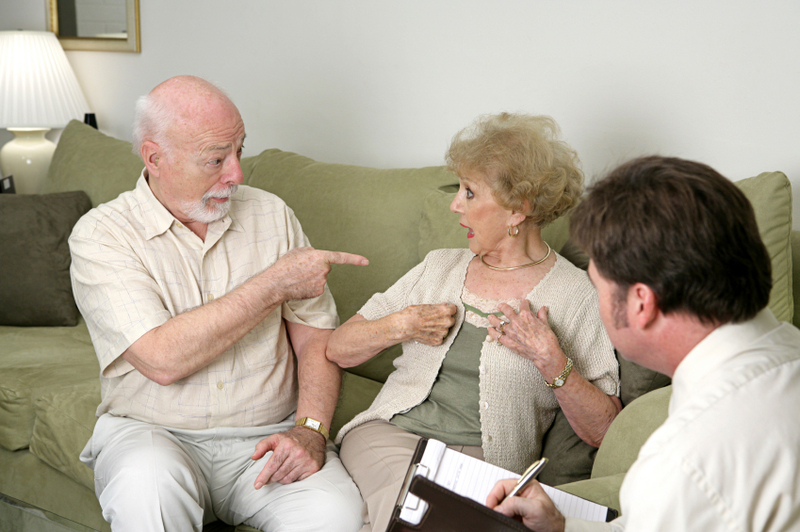 Incompetent therapists: Few marriage therapists are trained to work effectively with couples, yet thousands do so anyway not realizing that their incompetence makes marital and family breakdown more likely. Neutral therapists: Many marriage therapists approach couples work from a consumerist cost-benefit analysis perspective with questions such as, “What do you need to do for you?” or “What’s in it for you to stay, what’s in it for you to not stay?” Their actions undermine marital commitment by using the language of individual self-interest as opposed to supporting the fulfillment of a couple’s deepest moral values. Pathologizing therapists: Instead of supporting couples in working through their differences, pathologizing marriage therapists are likely to diagnose you or your spouse, leading couples to a fatal sense of hopelessness. Undermining therapists: With provocative questions, such as, “If you are not happy, why do you stay?” or giving direct advice for couples to either stay married or get divorced, marriage therapists undermine marriages. It’s also a violation of the code of ethics of the American Association for Marriage and Family Therapy for therapists to directly tell clients to either stay married or get divorced. “Can you describe your background and training in marital therapy?” If the therapist is self-taught or workshop-trained and can’t point to significant education in this work, consider going elsewhere. “What is your attitude toward salvaging a troubled marriage versus helping couples break up?” If the therapist says he or she is “neutral,” or “I don’t try to save marriage, I try to help people,” look elsewhere. “What is your approach when one partner is seriously considering ending the marriage and the other wants to save it?” If the therapist responds by focusing only on helping each person clarify their personal feelings and decisions, consider another option. “What percentage of your practice is marital therapy?” Couples should avoid therapists who mostly do individual therapy. “Of the couples you treat, what percentage would you say work out enough of their problems to stay married with a reasonable amount of satisfaction with the relationship.” “What percentage break up while they are seeing you?” “What percentage do not improve?” “What do you think makes the differences in these results?” If someone says “100%” stay together or that staying together is not a measure of success for them, you should be concerned. As an alternative to marriage therapy, evidence-based marriage education programs focus on empowering couples to find their own answers through skills training in communication, deepening empathy, emotional understanding, and healthy conflict resolution. Programs are often inexpensive, brief, and have a credible track record of success. Before scheduling an appointment with a therapist, consider first asking the questions above or checking out a marriage education program that fits with your relationship values and goals. For more on Dr. Doherty’s cautious approach to marriage therapy, read his address to the SmartMarriages conference here. To find a marriage education program, check out the National Healthy Marriage Resource Center or PAIRS Foundation’s national directory.